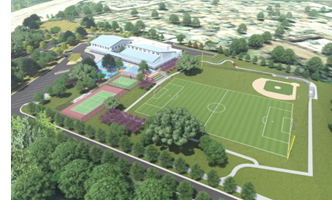 ​​ AUSTIN – A ten-acre campus for the Boys & Girls Clubs of Austin Area is officially underway. The club broke ground on the $17.74 million facility near the intersection of Ed Bluestein Blvd. and Manor Rd. Named the Sheth Family Campus, it is expected to open in 2019.